Typically, when you see a Rose, you see just the stem and flower. 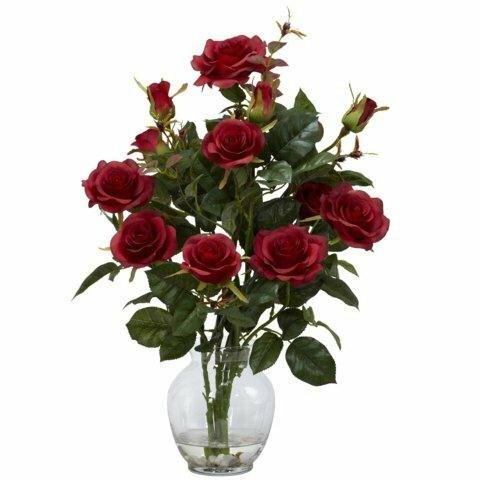 Not here, though – we've lovingly recreated the entire Rosebush and proudly display it in a beautiful vase (complete w/faux water.). With its ample verdant greenery and bold blooms, this is a rather stunning offering that is going to become the focal point of any area it adorns. Great for a living room, bedroom, or any other area that needs a little pizzazz.